You can buy a body, a rolling frame or just frame rails and build your own chassis, or have a local shop assemble it for you. We have a high quality, reliable shop, Brown’s Metal Mods in Port Leyden, NY to build complete running, fiberglass bodied, bespoke painted and upholstered turnkeys to your custom order in the $125,000 and up range. We can build engine and trans mounts for Ford or Chevy V8 small block engines and transmission, or BMW V-12. Other choices such as inline Jag motors, Aston Martin, Mercedes V-12‘s are possible, but cost more. Other than Chevy, Ford or BMW, we can build engine/trans mounts but you must supply engine & trans, or it may be done in a shop other than in Port Leyden, NY, depending upon scheduling. Build time for turnkey 9 to 12 months, We also offer incomplete rollers built to any stage of production you desire. Cost determined by this formula: Cost = Shop labor rate x Hours + cost of parts, materials and shipping. Yes, we can build one with an aluminum body, but it costs much more and takes much longer. 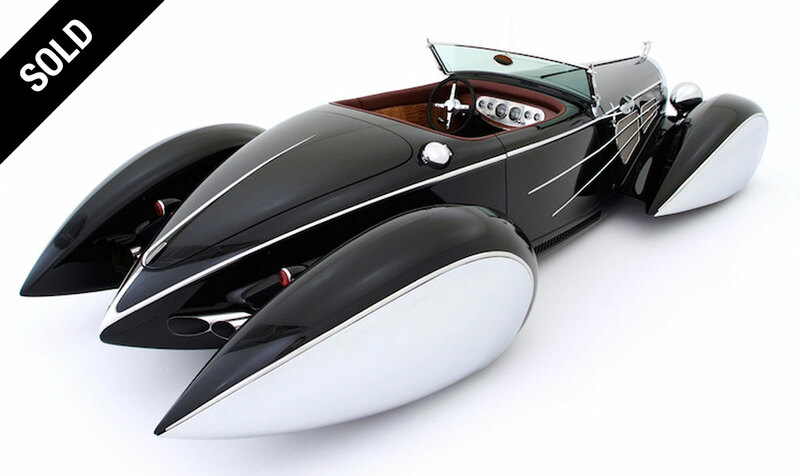 Delahaye USA fiberglass Boat tail Speedster body. Generation 2 Type 135 Delahaye “pontoon” fenders. A tribute to Vince Gardner and Guiseppi Figoni. Delahaye USA fiberglass Boat tail Speedster body. Generation 2 Type 135 Delahaye “pontoon” fenders with chrome plated aluminum fender skirts. 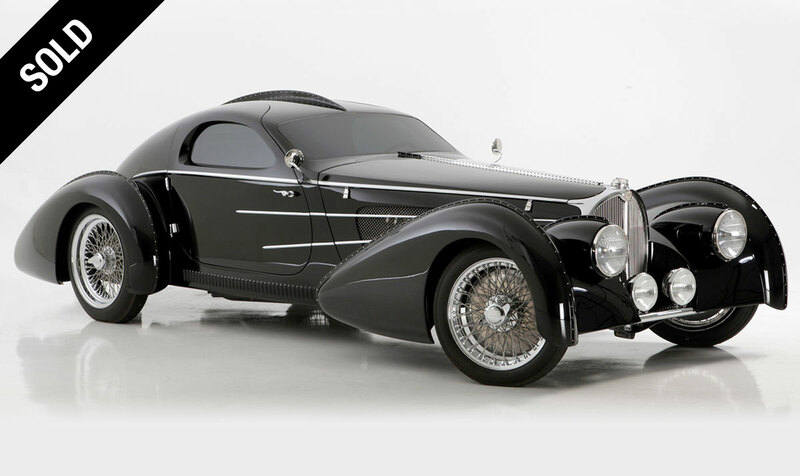 A modern version of the classic 1937 Type 57S Bugatti. 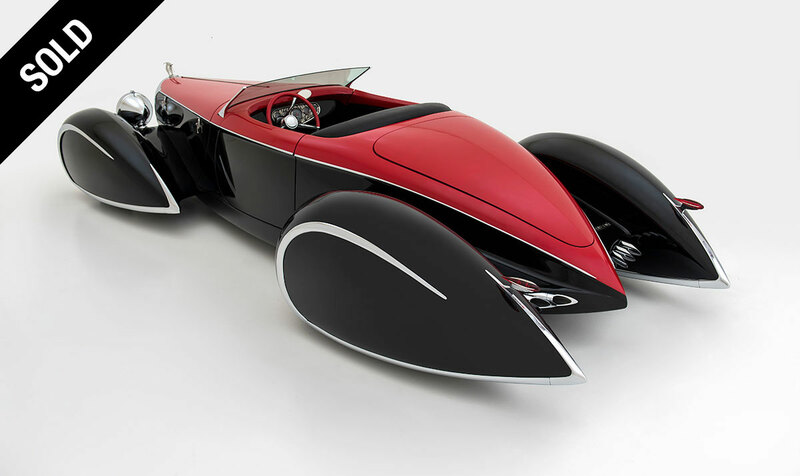 A tribute to Jean Bugatti and Ralph Lauren's Atlantic.